everything was humming along, but the escs did not seem right. Hi Tim, how have you been progressing with the IMX6? I just received a couple and am going to hook them up to a Cube, as you have done. Searched extensively for ANY documentation on the IMX6 but have found none to date. 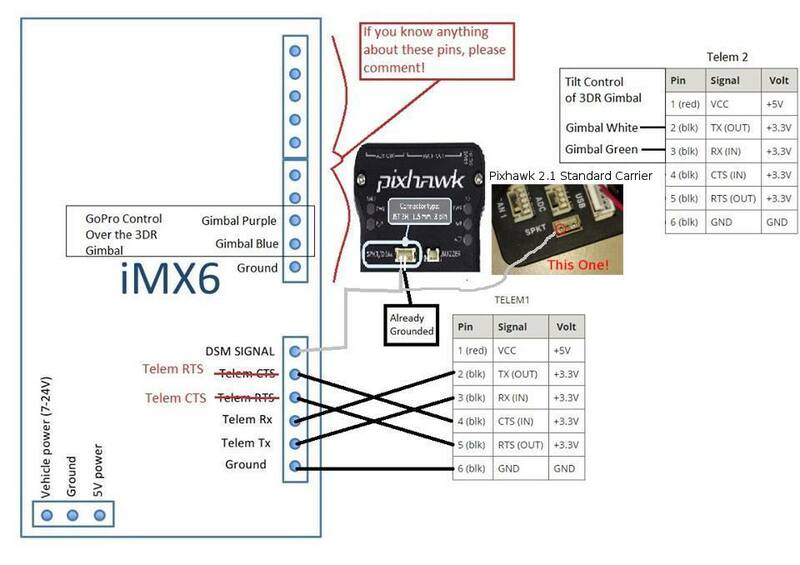 Where did you find the pinouts for the IMX6? Have you tried installing the Open Solo stack? It is possible that the FMUV3 with the Solo GImbal code etc is running out of memory in some situations. Since most doing this kind of build really don’t need the Solo Gimbal code just use the FMUV2 where the Solo gimbal code was removed to make more room. It worked to allow me to cal my Solo Controller sticks.